Keep all your keys in one convenient location. 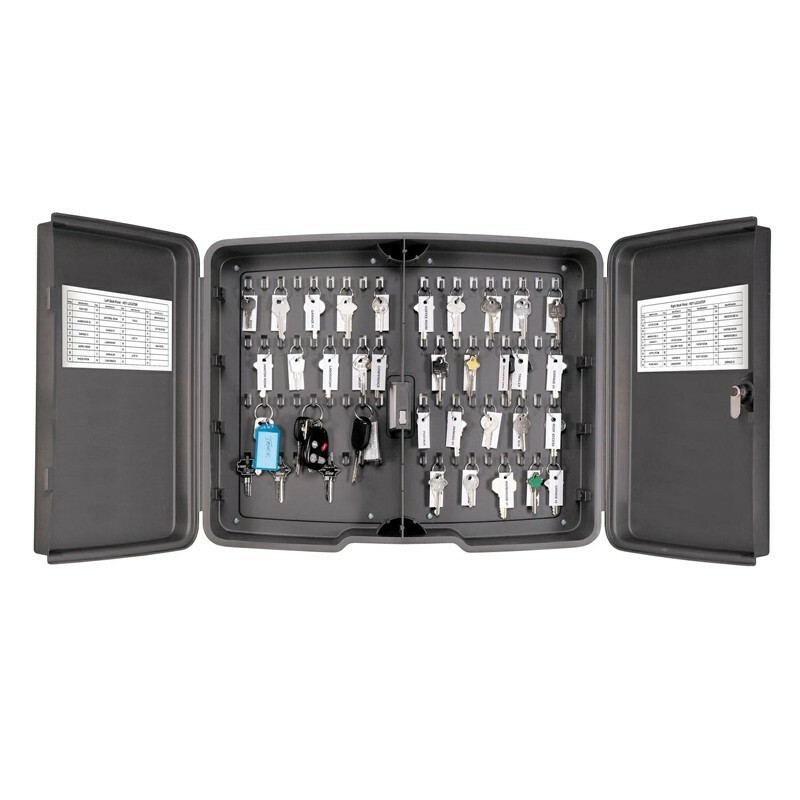 Organize keys for business, company vehicles, apartment complexes, schools, etc. Made of quality polypropylene, won’t rust or corrode. Easy to install, includes mounting hardware. Numbered hooks to coordinate with identification label. 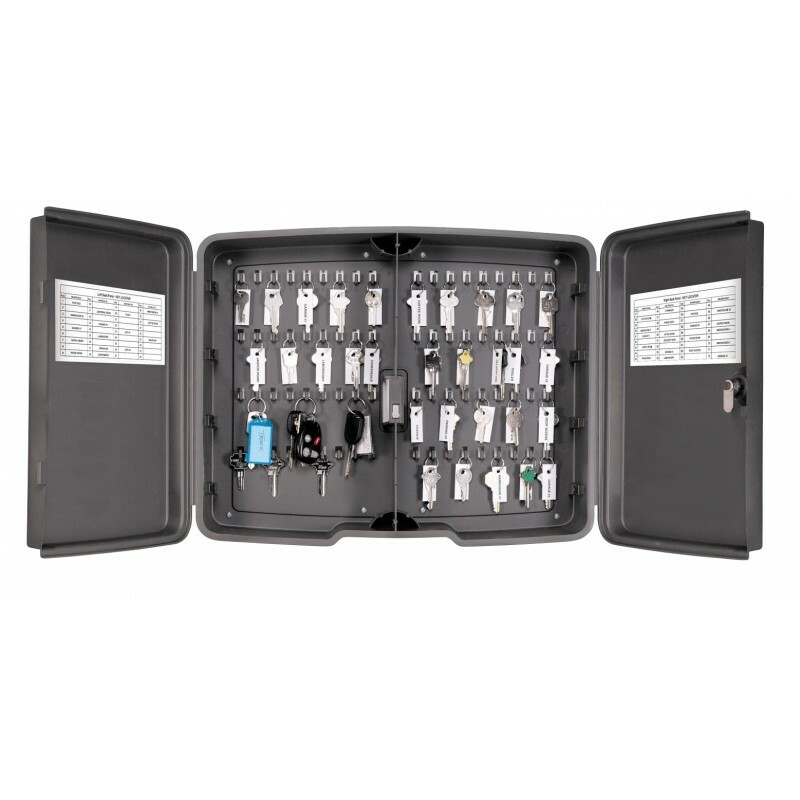 Key locator labels equipped with a key catalog system for easy key identification. Hinged doors allow easy access to keys. The model holds 72 keys.